El Cajon, CA, December 1, 2015– Cody Rahders Racing and the 1961 Polaris RZR XP Turbo team traveled to Ensenada for the 2015 Baja 1000 with one goal, finish the race. Unfortunately, the 1961 only made it 30 miles before the call came in on the Satellite phone. “It’s misfiring”. Chase 1, on its way to San Felipe, caught up to the 1961 to confirm the misfire but called for help as they felt the problem was deeper than spark plugs. Chase 2 turned around outside of Santo Tomas and headed back to the first road crossing at Valle De Trinidad to assist. Over the next few hours the top end was checked; spark plugs, coil, wires, injectors and the mag pick up were all changed. The wiring harness and battery were inspected as well. It was then determined the most likely problem was that the engine ECU had failed and with no spare the race was over. The ECU failure was confirmed by swapping ECUs between the 1961 and a brand new XP Turbo Sunday afternoon back in Alpine. Leading up to the race Cody Rahders Racing shook the car down at Camp RZR. The only change made was to increase the rear spring rate; the car worked and felt great. 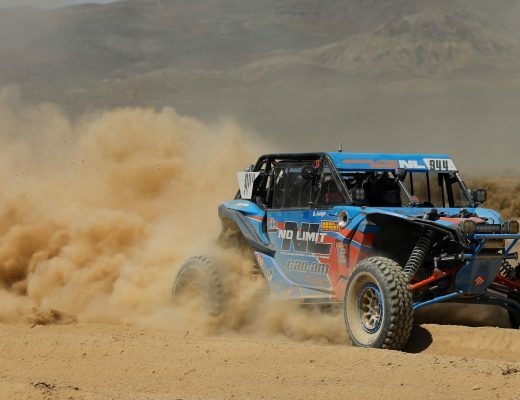 “Being new to Baja, while we were behind the curve, I felt we still had a good pit strategy, an incredible chase crew and a good communications system in place. From wheels and tires to brakes, steering, suspension, clutches and belts, transmission, front differential, axles, etc, etc, etc, we had all the spare hard parts and majority soft parts in the world” Doug Rahders stated. Baja Pits was employed as a resource for welding and fabrication supplies as well as fuel stops in two remote areas of the course and one as a backup where the team felt the car may get ahead of the chase crew. The team was prepared to deal with any crash damage, mechanical failures, and driver fatigue. Cody has 7 championships and turned 1000’s of laps racing short course. They have worn out and broken many parts, and seen unique failures as well. 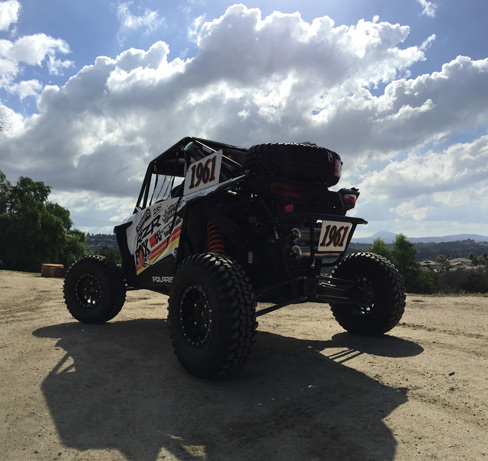 The team sends huge thanks to Polaris, Cognito Motorsports, Black Rhino Performance, Racer X Motorsports, FOX, Method Race Wheels, Tensor Tires, K&N Filters, Superchips, Sparks Racing and Pac Racing Springs for their continued support of Cody and his racing effort.